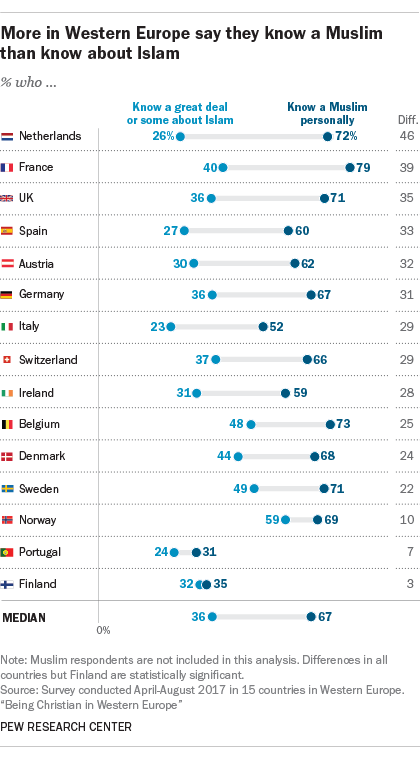 Across Western Europe, people who say they personally know a Muslim are generally more likely than others to have positive opinions of Muslims and their religion, according to a recent Pew Research Center study in 15 countries. However, knowing something about Islam – as opposed to personally knowing a Muslim – is less associated with these positive feelings. 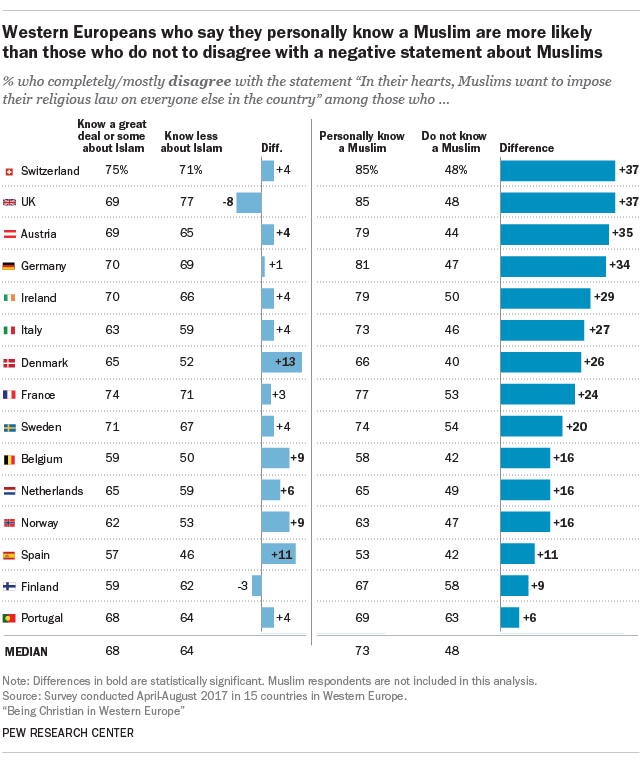 This pattern is evident across several different questions the Center asked of non-Muslim Europeans to gauge attitudes toward Muslims, including whether they think Islam is compatible with their country’s culture and values and whether they would be willing to accept a Muslim as a member of their family. 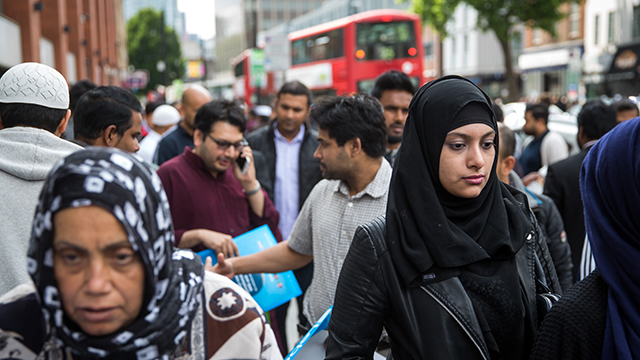 While knowing a Muslim is prevalent in most countries across Western Europe, it is less common in the United States, where 45% of adults know someone who is Muslim, according to a separate Pew Research Center study.